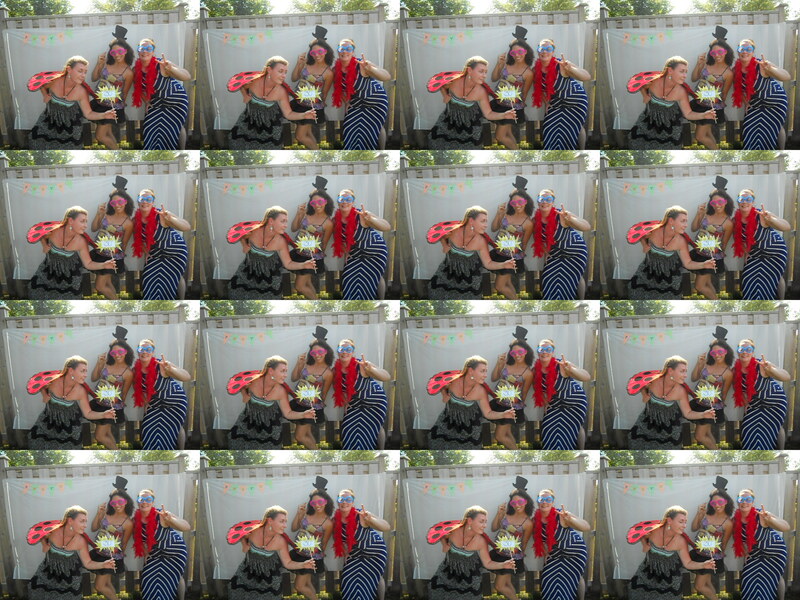 DIY Photobooth - THE OLIVE BLOGGER - Recipes your family will love! Luckily I have a ton of scrapbook paper and was able to find some fun prints to make a couple props to go with our theme! I just cut out the shapes I wanted (i.e. 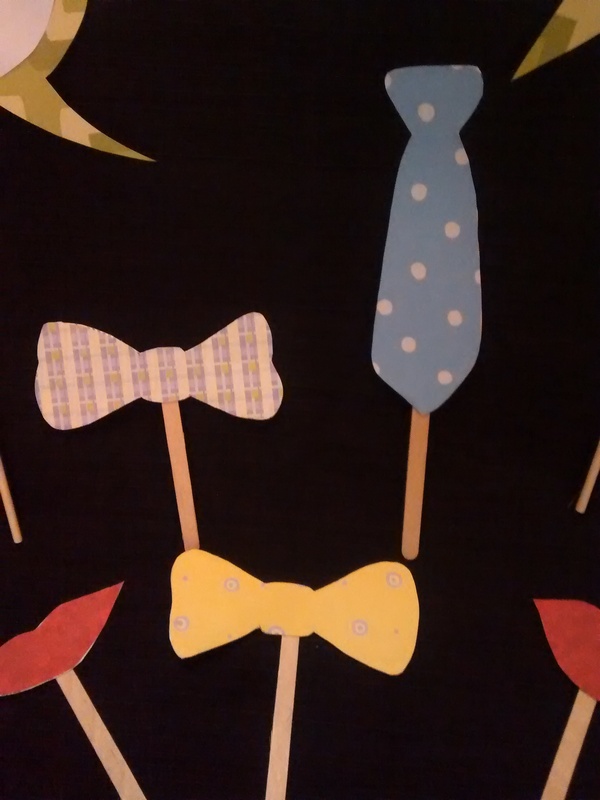 bowtie, necktie, kiss lips and word bubbles) and glued them onto a thicker cardboard. I actually used the empty container from my almond milk, which was fantastic as it was white on the backside! I simply glued the scrapbook paper to the cardboard and let sit for a couple days before attaching the Popsicle sticks. For the word bubbles I did the same steps as above, however I added some plain computer paper and wrote some messages relevant to our party! 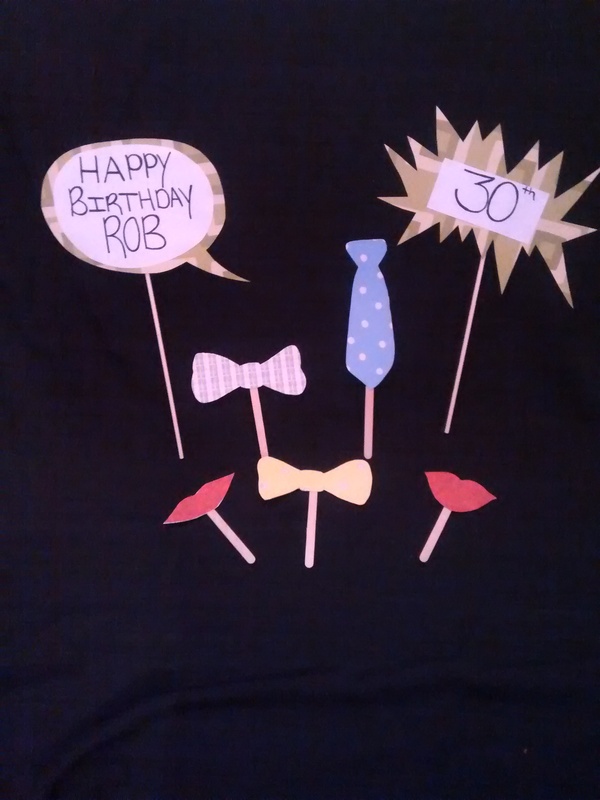 What a fun way for our guests to wish hubby a happy birthday! Lastly, we had a couple of pails set up next to the camera and FILLED them with old kids costumes (thanks to my fabulous sister in law for bringing these by!) as well as some adult ones, cowboy hats, beads, boas, masks etc…Again, have fun with this one. The more costumes and props you have, the more creative your guests will get!